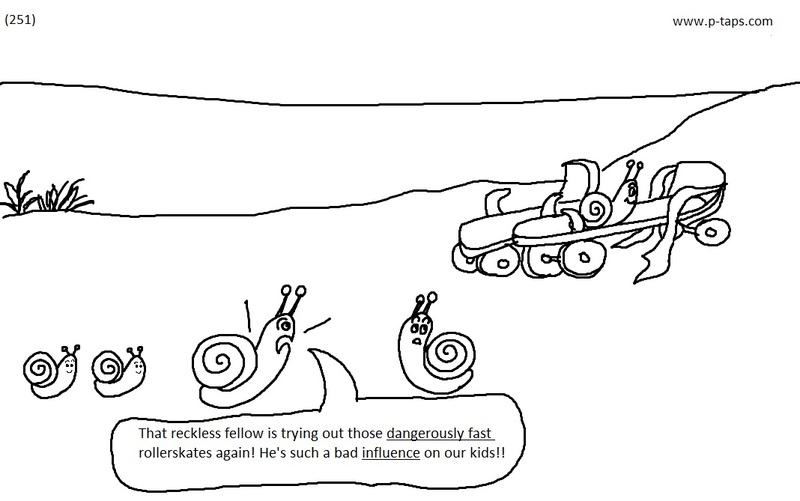 That reckless fellow is trying out those dangerously fast roller skates again! He's such a bad influence on our kids! !